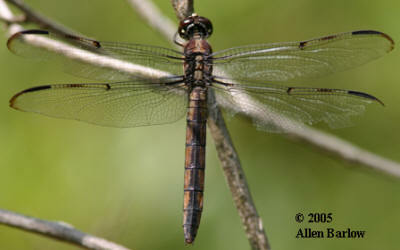 Found in the coastal plain. 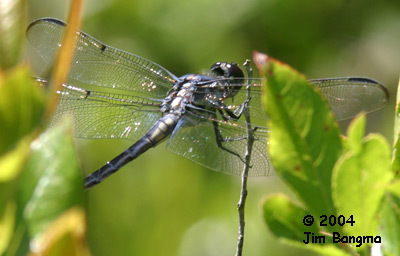 Woodland swamps, bogs and ponds. 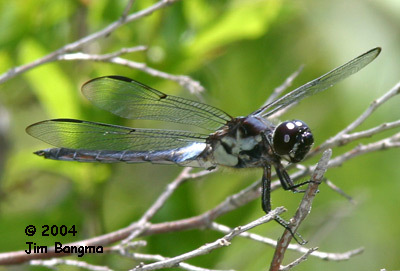 Males are blackish, with pale pruinosity on the front of the thorax, between the hindwings and at the base of the abdomen. 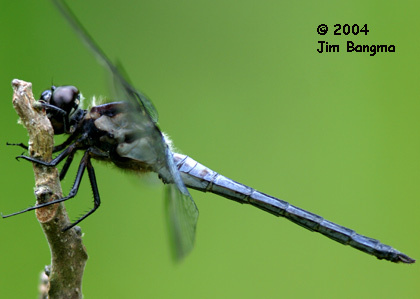 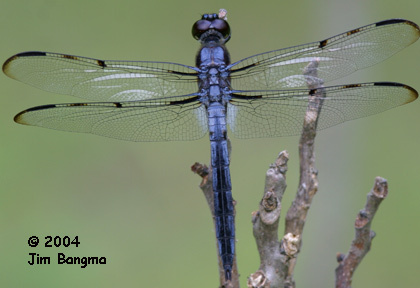 Females are similar to Slaty Skimmer and Great Blue Skimmer, but when mature always show the black streaks on the leading edge of the wing and have a brownish face with white edging.